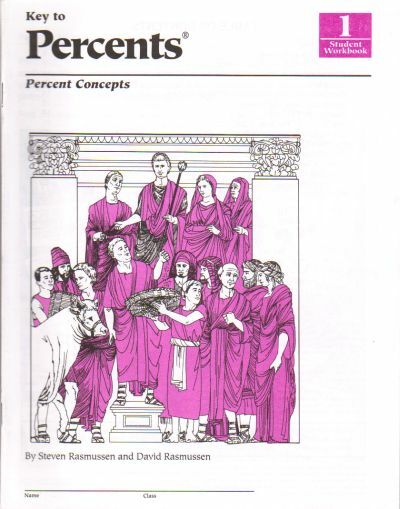 Description: Key to Percents emphasizes mental computation and estimation skills. Then students are taught to solve percent problems using equal fractions and decimal multiplication. Finally, percents are used to solve word problems in a variety of applications. Key to Percents assumes only knowledge of fraction and decimal computation. Book 1 covers percent concepts by moving from visual representations of percents to abstract problems. 1988 edition Consumable paperback. Clean and unwritten in.